Delta State Chapter of the All Progressives Congress (APC) on Wednesday says Governor Ifeanyi Okowa is impervious to the pain he is causing Deltans. 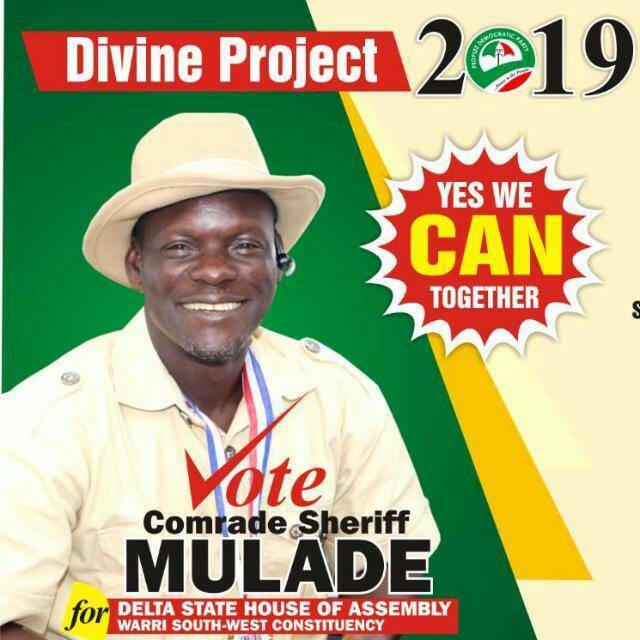 The party stated this in reaction to the Delta state government claims that it released N800million to lessen the burden of councils in the payment of local government workers salaries. 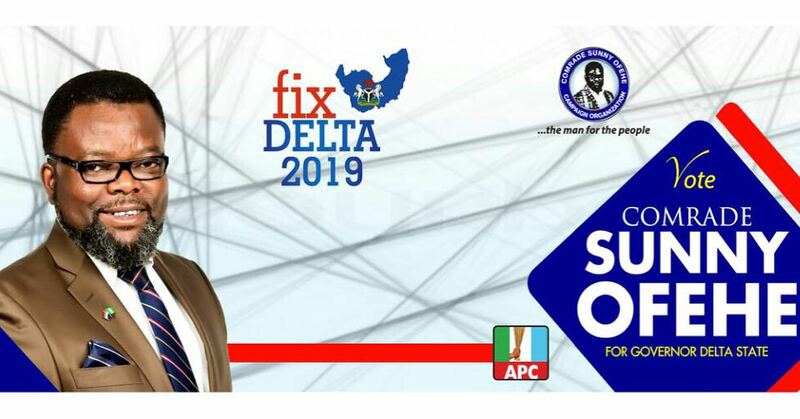 Delta APC however hinted that the N800million was the exact share Delta State Government got from the N28Billion loan package offered to the 35 states of the federation by President Buhari to pay local government workers’ salaries, adding that it was a lie for Okowa to say he released money when he did not add any additional money to relief the burden of the councils. Delta state Chairman of APC, Prophet Jones Ode Erue in a statement made available to BigPen Online on Wednesday, said if Okowa truly feel the pains of the workers, he would have long approved payment to the councils just as President Buhari did when he gave bailout to all the States to pay workers salaries a few months after he was sworn in, at a time when federal government revenue was even on the decline. 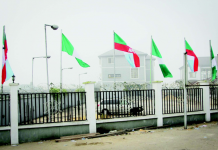 While saying that the Buhari-led APC government deserved all the commendation for putting smile on the faces of workers during this Christmas season, Prophet Erue lampooned Governor Okowa for taking credit for the N800mllion approved for councils when in actual facts it was APC federal government that paid the workers. He said: “We are very happy for the relief that this payment will bring to the families of many Council workers who have suffered extreme neglect for too long, adding however, “we are appalled by Governor Ifeanyi Okowa’s attempt to take credit for it. He should learn to reap where he sows and not be crafty. “It is President Buhari’s decision to make 2017 Christmas season better for workers by approval of N28bn to pay salaries that has now brought a smile on the faces of many Civil Servants. This was what prompted Governor Okowa to release N800m which is the exact loan that was advanced by President Buhari to Delta State. Therefore the credit for this relief should rightly go to the APC federal government”. According to him, from the N28 billion offered to 35 states of the federation by President Buhari, “Delta State is entitled to N800million of the loan, and It was on account of this that Gov. Okowa approved N800 million to reduce the salary burden of Local Government Council workers in the state”. Erue said that Governor Okowa had declared during a recent Peoples Democratic Party (PDP) campaign rally for local government elections at Ozoro, Isoko North and Oleh, Isoko South LGAs that his administration is not owing workers. But in pretense to mislead Deltans, he said Okowa claimed he cares, saying, “we feel the pains of our brothers and sisters in the local government council”, whereas Deltans are aware that he (Okowa) was only forced to pay up now because of the forthcoming Council elections”. Continuing, he said, “The truth remains that Okowa does not feel the pain of workers. If he did he would have long approved payment to them just as President Buhari did when he gave bailout to all the States to pay workers salaries a few months after he was sworn in, at a time when federal government revenue was even on the decline. Now that Delta State allocation has improved tremendously, we would have expected Okowa to release more than N800 million, being the exact equivalent of the loan that the Federal government approved. He said that Deltans are all witnesses to recent protests by retirees in Delta State to the state’s House of Assembly and Government House to pour out their grievances under the umbrella of the Association of Retired Local Government Staff and Primary School Teachers where they criticized Gov. Okowa of insensitivity and non-payment of entitlements owed them since 2013, and on the misuse of President Buhari’s bailout funds and the Paris Club refunds received by the State. Giving a graphic details of funds State Executives have recieved to offset payments of workers salaries, and retirees, the APC chairman disclosed that President Buhari has from 2015 till date released over N2 trillion to the states as a direct response of his desire to ease the pressure on the finances of states and their inability to meet up with payment of workers salaries and pension commitments. This includes a salary relief package of N338bn in 2015, N575bn in form of a restructuring programme bond that helped to restructure the high-interest bank loans that was weighing down state governments into a 20-year Federal Government bond just to release more funds into their coffers. Moreover, he added that a sum of N200bn was shared from NLNG dividends, Solid minerals savings and Petroleum Profit Tax (PPT) while a further N90billion loan was authorized for states. “We can’t forget the famous N522.74bn first tranche of Paris Club refund in December 2016, followed by a second tranche of N243.8bn released in July 2017 with a special request that a large chunk of the money should be used to fund workers unpaid salaries and pensions. Delta State share of these releases, according to him, were very substantial but Governor Okowa did not hearken to the pain and cries of the workers, he said. Rather, in the usual crafty manner, the APC chairman continued, he (Okowa) kept advancing a vain and heartless argument that the State Government was not responsible for Local Government staff salaries, retired LGA workers and primary school teachers. “If we go by his own argument, then he ought to have refused to accept the bail-out funds released to the State by the federal government, on the basis that the federal government is also not responsible for the salaries and pensions of Delta State civil servants? If he felt a tinge of pain for the workers he would have made adequate provision to clear most, if not all the backlog of Council salaries and pensions. While maintaining that the State must be seen to take responsibility when things go wrong with Local Government Councils because the Council Executives were installed by his party, PDP, the APC chairman said that as things stand, non-payment of Council salaries is evidence of incompetence that should ordinarily draw a ‘vote of no confidence’ on all the Council Executives. “They failed the people they were elected to serve, yet Okowa is aiming to possibly return some of them back into office having nominated them as candidates in the upcoming January 2018 Local Government elections. “If Okowa feels the pain of workers, we advise him to borrow a leaf from President Buhari’s honest commitment to workers. We salute the President’s plan to takeover the payment of pensions to thousands of Delta Steel Company (DSC) and Federal Housing Authority (FHA) retirees that has been suspended for more than 10 years. Specifically, Prophet Erue commended President Buhari for also directing that the pensions of retired Biafra police officers that were granted presidential pardon since year 2000 be paid, stressing that it is hard to imagine why, during the many years of PDP in Aso Rock and the huge funds available at the time, they could not respond to the pain associated with these long overdue workers emoluments. Conclusively, APC Delta averred that the credit for the relief that has come to the average Nigeria civil servant, particularly Delta State Council workers, should go to the APC government led by President Buhari who made funds available, and continues to bail out the states, and not Governor Okowa who is a channel for paying the workers.